Baxter of California are justly proud of their extensive range of men’s grooming products, and their Clay Effect Style Spray is a great example of their unpretentious but effective line in both hair and skin care. 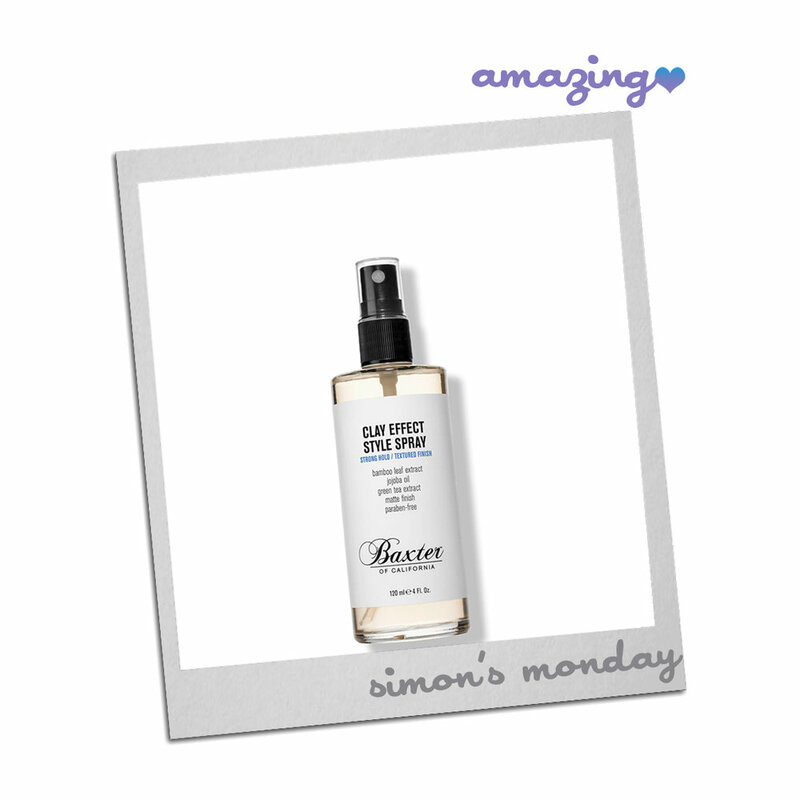 The Styling Spray has the essence of all that is California, with a subtle scent and whilst this spray seems quite light in itself, it actually packs quite the punch in it’s hold - trust us, we have ruffled and tousled The Amazing Blog’s resident male bouffant to test it thoroughly. With extract of both green tea and bamboo leaf, mixed with jojoba oil, providing nutrients and vitamins for every hair type it is a heady mix - every pun intended. It can be used first thing in the morning or throughout the day to pep up the style at any point. It even provides humidity resistance and heat-styling protection… what’s not to love? Baxters of California is available through the UK distributor here for £27. You can also check out the full hair and skincare range on the US website baxterofcalifornia.com.